TUESDAY, Aug. 14, 2018 -- Completion of a one-hour sepsis bundle within one hour cuts mortality in pediatric patients, according to a study published in the July 24/31 issue of the Journal of the American Medical Association. Idris V.R. 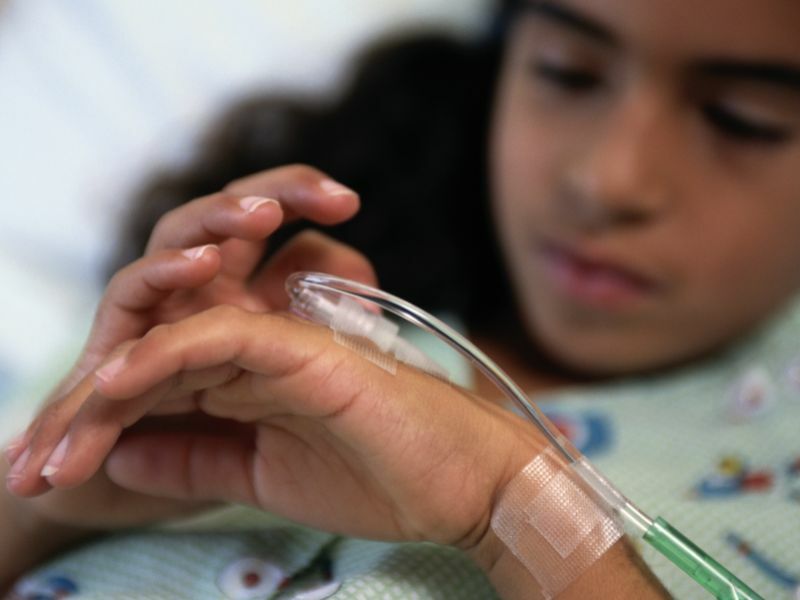 Evans, M.D., from the University of Pittsburgh, and colleagues assessed whether completing the pediatric sepsis bundle elements (blood cultures, broad-spectrum antibiotics, and at least one 20-mL/kg bolus of intravenous fluid) within one hour improves outcomes. The analysis included 1,179 patients (mean age, 7.2 years) with sepsis and septic shock reported to the New York State Department of Health who had a sepsis protocol initiated. The researchers found that the entire sepsis bundle was completed in one hour in just about one-quarter of patients (24.9 percent). Within the one-hour timeframe, antibiotics were administered to 67.7 percent of patients, blood cultures to 62.8 percent, and the fluid bolus to 46.5 percent. Completing the entire bundle within one hour was associated with a lower risk of in-hospital mortality (odds ratio [OR], 0.59; 95 percent confidence interval [CI], 0.38 to 0.93; P = 0.02). However, there was not a significant lower risk-adjusted mortality associated with completing each element in the bundle within an hour (blood culture: OR, 0.73 [95 percent CI, 0.51 to 1.06; P = 0.10]; antibiotics: OR, 0.78 [95 percent CI, 0.55 to 1.12; P = 0.18]; and fluid bolus: OR, 0.88 [95 percent CI, 0.56 to 1.37; P = 0.56]). "It's clear that completing the entire sepsis protocol within an hour is associated with lower mortality," Evans said in a statement. "But the mechanism of benefit still requires more study. Does each element of the protocol contribute to specific biologic or physiologic changes that, when combined, improve outcomes? Or is it that completion within an hour may simply be an indication of greater awareness by doctors and nurses caring for the child? Or could it be something else entirely?"